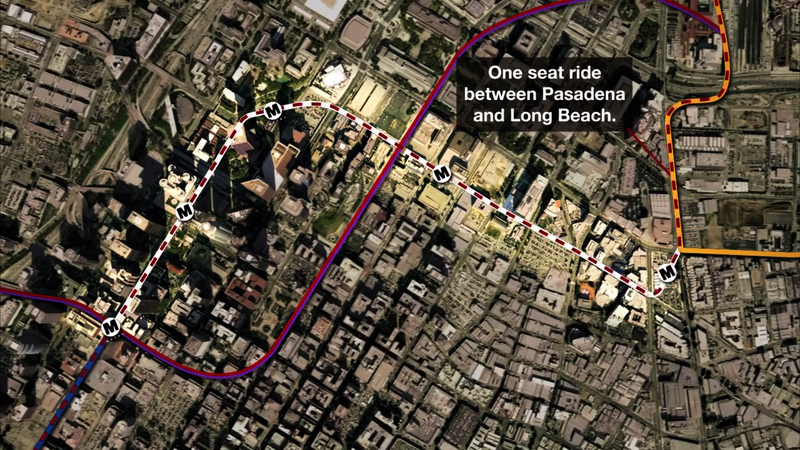 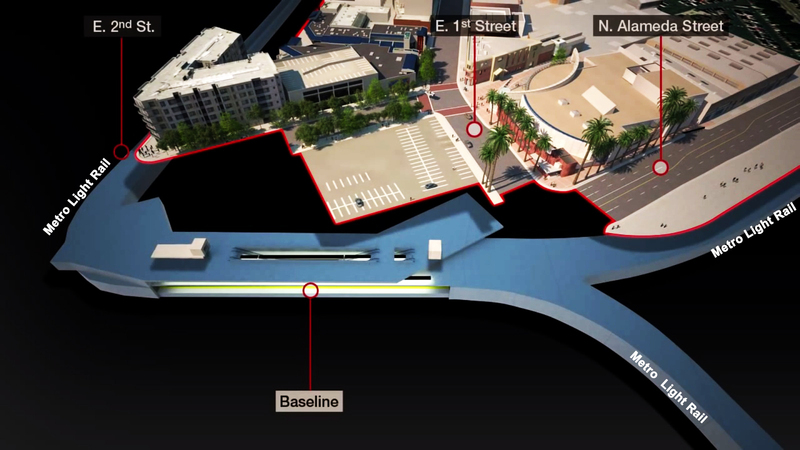 LOS ANGELES- Crews have started construction on a nearly two-mile Metro regional connector that will eventually allow passengers to take a single trip to reach far-flung suburbs from Azusa to Long Beach. 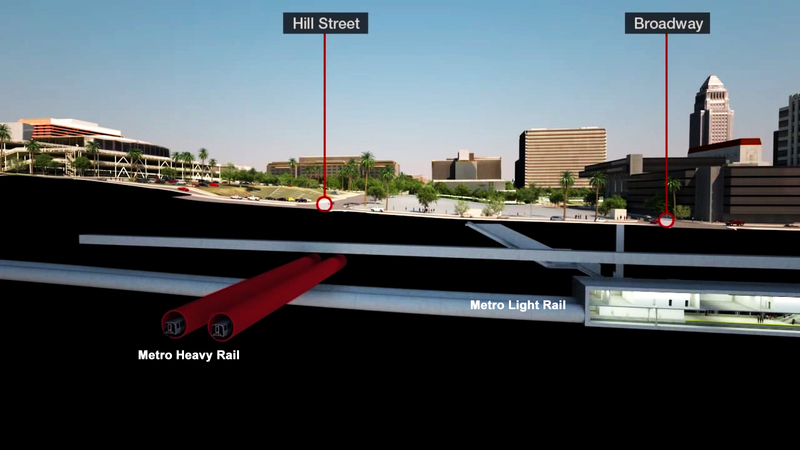 Mayor Eric Garcetti and U.S Secretary of Transportation Anthony Foxx were on hand at a groundbreaking ceremony at the Metro Gold Line’s Little Tokyo/Arts District Station for the $1.4 billion Regional Connector Light Rail station, which will bring together the Gold, Blue and Expo lines to streamline transfers and enable a single-seat ride through Pasadena, Long Beach, Santa Monica, the Eastside and stops in between. 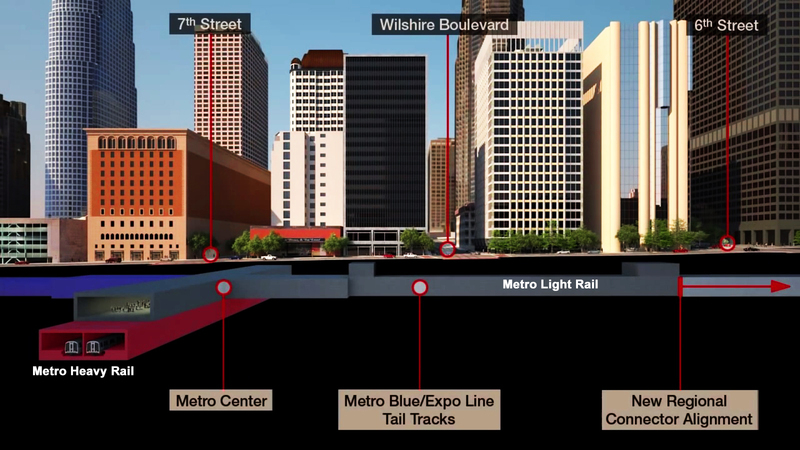 The official groundbreaking for the $1.42-billion Regional Connector project was held on September 30, 2014 in Little Tokyo. 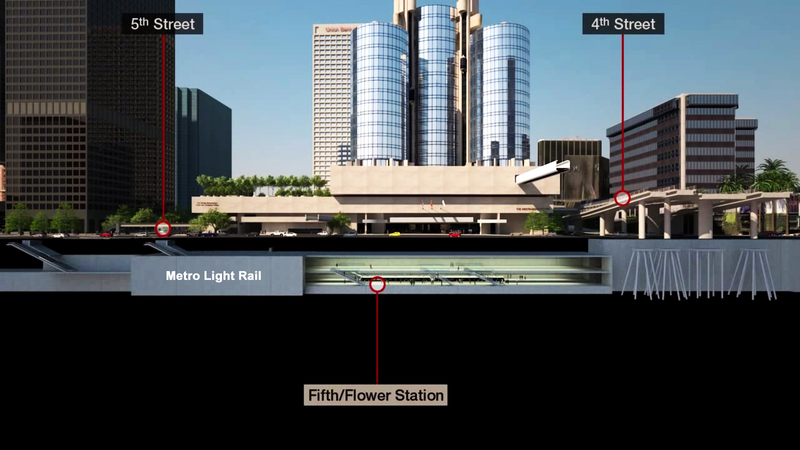 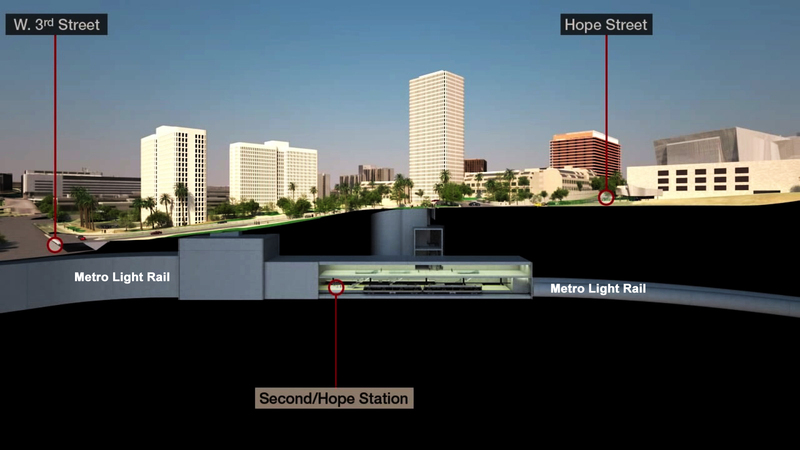 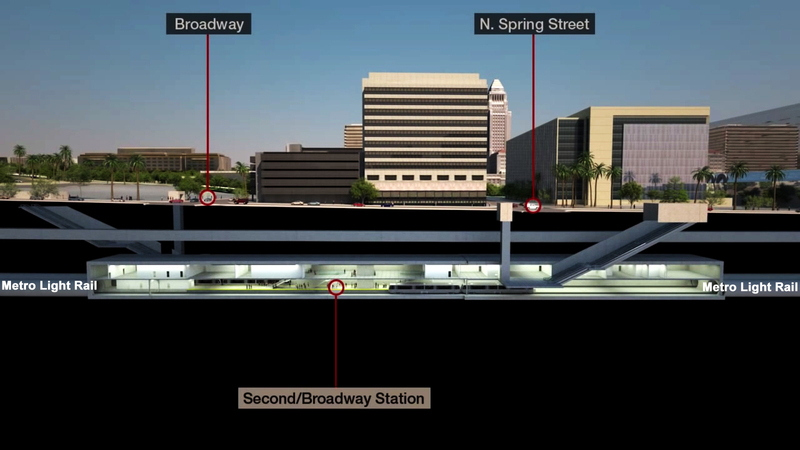 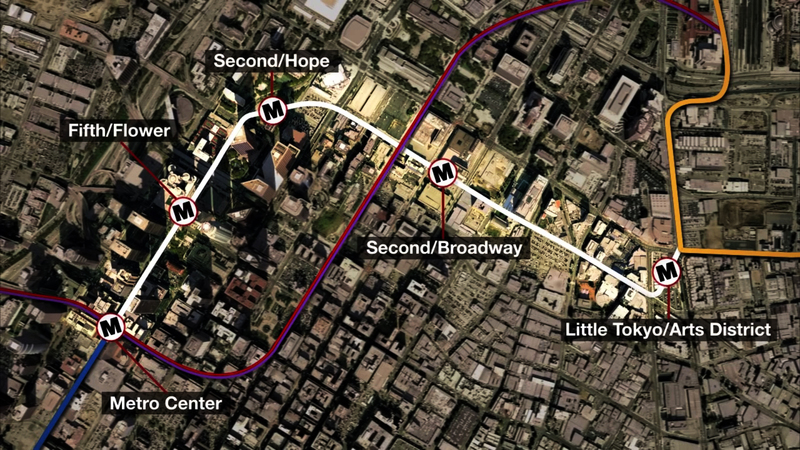 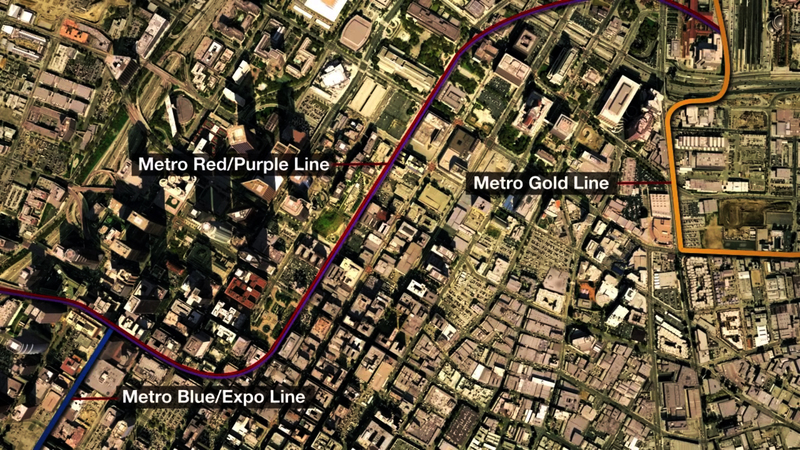 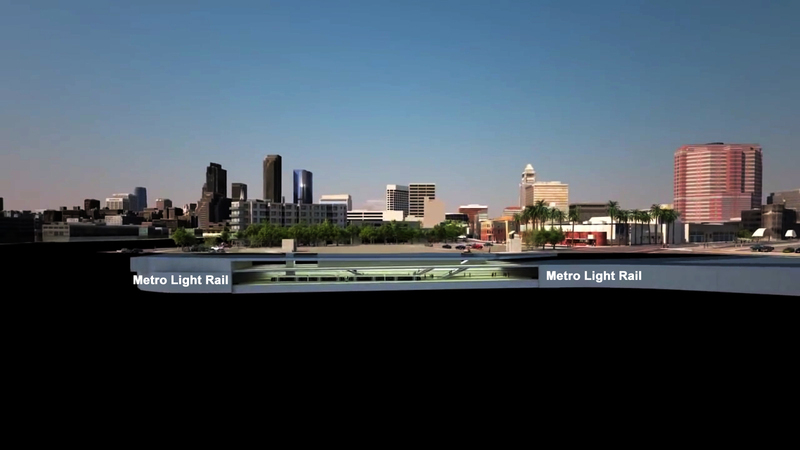 The 1.9-mile underground light rail line will link the Blue, Expo and Gold Lines, allowing for faster and more frequent service on Metro’s light rail lines to and through downtown Los Angeles.